We all know that the first commercial car was the Ford Model-T, produced by Henry Ford in 1908. Prior to this, nobody had much need for a garage, as they simply didn’t have cars to store inside them (instead they would have had “carriage houses”, for, you guessed it, their carriages). The first motorised door came thirteen years later, when a Mr C. G. Johnson designed the first sectional garage door with an electric opening mechanism. Despite this advancement, the design didn’t really take off until five years later, when a rival firm improved the concept by including a keypad on a gate post at the end of the drive, allowing the driver to park without leaving the car at all. Interestingly, the next step in automated garage door technology came from two separate inventors at more or less the same time. The goal was to create a wireless system for the door to open, involving a remote transmitter built into the car, and a receiver sensor in the garage. Both designs achieved this, using slightly different methods. The first remote generated white noise at a particular frequency, which was picked up by the garage receiver. The trouble with this system was, once motorised doors gained popularity, the signal was so strong that users often found themselves opening their neighbour’s doors at the same time as their own. The solution? 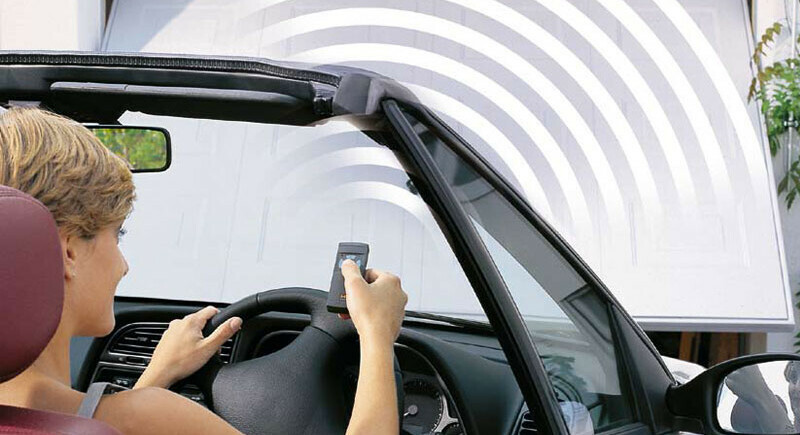 Referring back to the technology used in the other initial design, automated garage door manufacturers started to move to a code-pulse system in their remotes, where the transmitter and receiver would both be tuned to respond to a set code. This made it extremely unlikely for two garages in the same neighbourhood to share a code, let alone two houses so close to each other that their garages would open from the same signal. In the last twenty years, we have seen many more leaps in automated garage door security, and systems now rely on a “rolling-code” technology. Each time a remote is used the code gets changed, making it more difficult for thieves to hack into a system without the authorised remote. Today, automated garage doors are recognised for their excellent home and personal security (no more leaving your car late at night), and offer unparalleled parking convenience. If you would like to upgrade your doors, call our experienced team today, on 0800 161 3733.